At the new Jockey Bra test concept boutique, the approach to retail is as innovative as the product itself. Taking a truly omni-channel approach to shopping through direct consumer, online and brick-and-mortar locations, Jockey has created a retail experience that is one part showroom, one part spa; a space for individualized consultations; and of course, a retail store. From their new revolutionary Volumetric Fit System to the “white glove” service of their certified fit specialists, every aspect of the consumer experience provides women with confidence that Jockey Bra has finally developed a solution to the frustrations associated with traditional bra shopping. 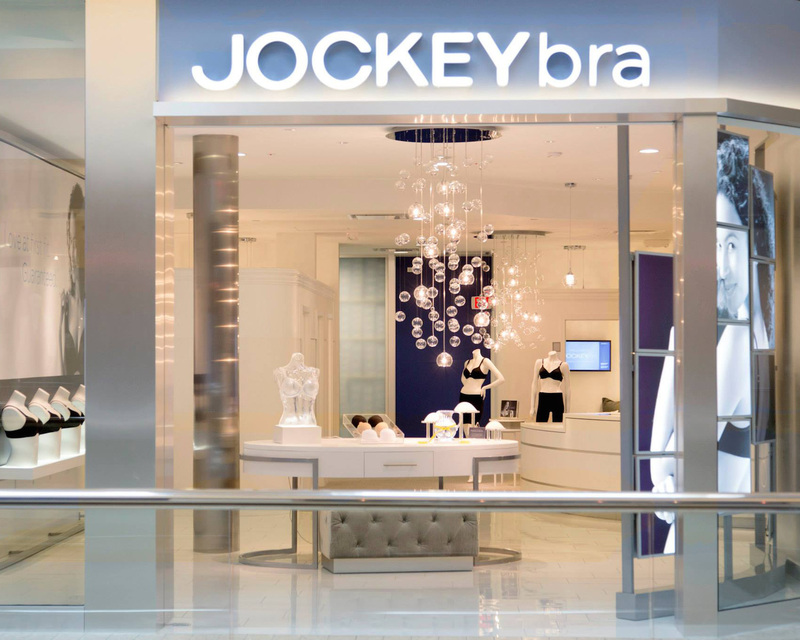 With this new concept, Jockey Bra has created a “breakthrough moment” for the consumer who can now clearly appreciate the value and innovation of the Jockey Bra fit process and product, and can do so in a luxurious environment.